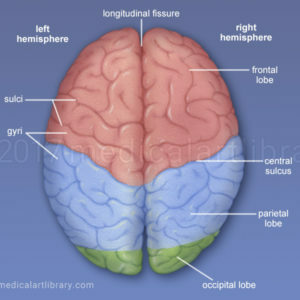 License Image Each hemisphere of the brain is divided into 4 lobes by sulci or fissures. 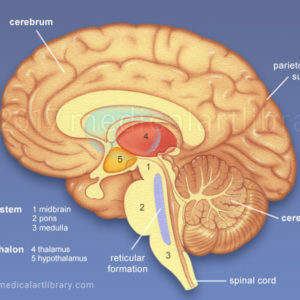 The frontal lobe is separated from the parietal lobe by the central sulcus. 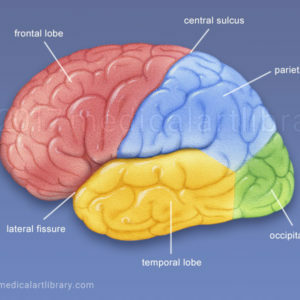 The lateral fissure separates the frontal lobe from the temporal lobe. 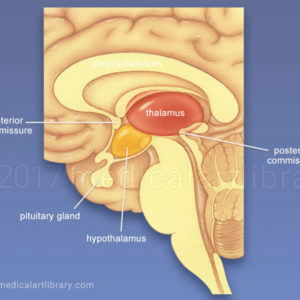 The parietooccipital sulcus separates the parietal lobe from the occipital lobe. 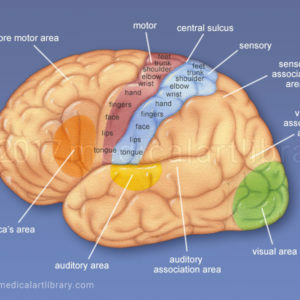 License Image Corpus callosum, third ventricle, pitiutary gland, cerebellum, pons, medulla. 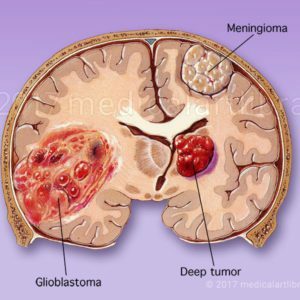 License Image The tumors depicted in the adjoining illustration are: meningioma, glioblastoma and deep tumor. 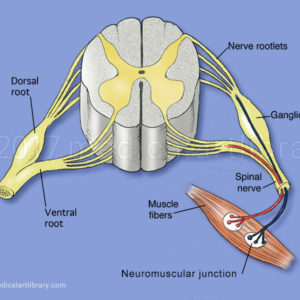 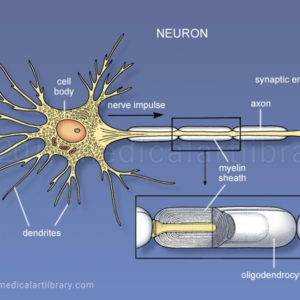 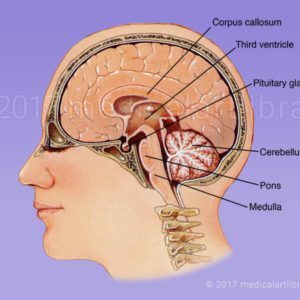 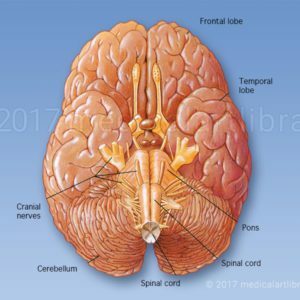 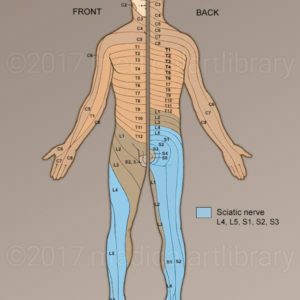 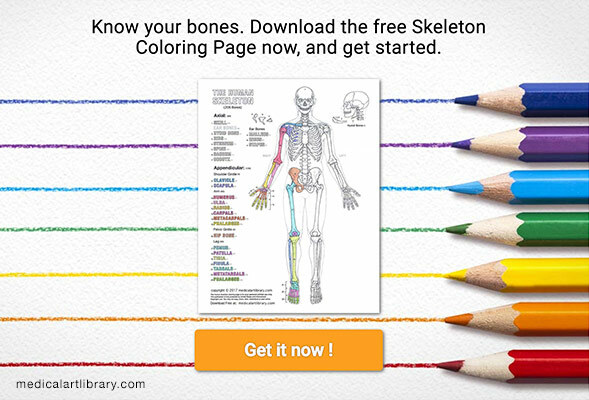 License Image Shown in this illustration are the frontal lobe, temporal lobe, pons, spinal cord, cerebellum, and cranial nerves. 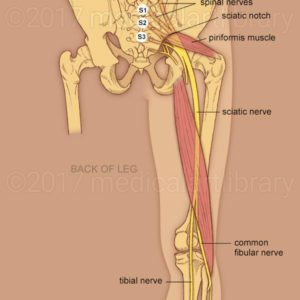 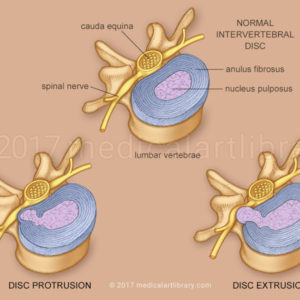 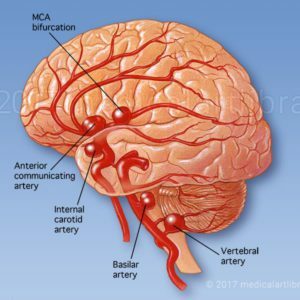 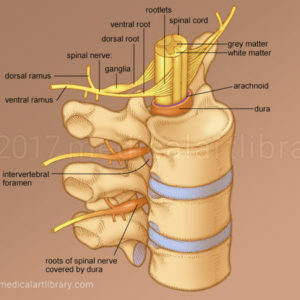 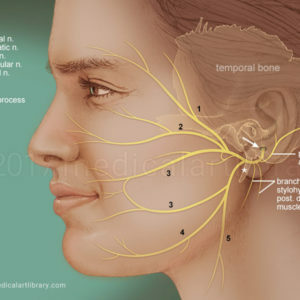 License Image Shown in this illustration are aneurysms of the following blood vessels of the brain: MCA bifurcation, anterior communicating artery, basilar artery, internal carotid artery, vertebral artery. 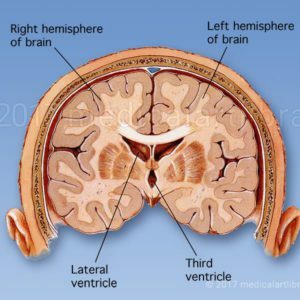 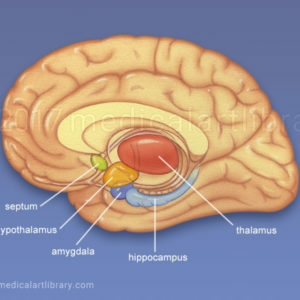 License Image Shown in this illustration are the right hemisphere of the brain, the left hemisphere, the third ventricle and lateral ventricle.